Thank you for asking our opinion Decatur Living! This issue spotlights the Druid Hills Home & Garden 50th Anniversary Tour - and we're thrilled that one of our historical projects is included in the magazine and on the tour. 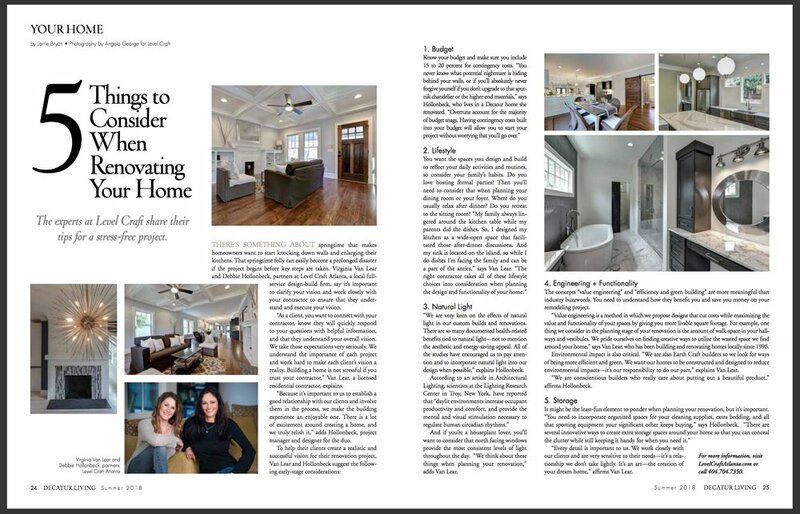 We enjoyed seeing this article in print and hope potential clients will enjoy the read. If you're local, it might be sitting in your mailbox right now! Go check! Otherwise, read the full ONLINE article HERE. Contact us for more details on how we can help with designing and implementing your renovation. We are overflowing with helpful information and look forward to working with you.